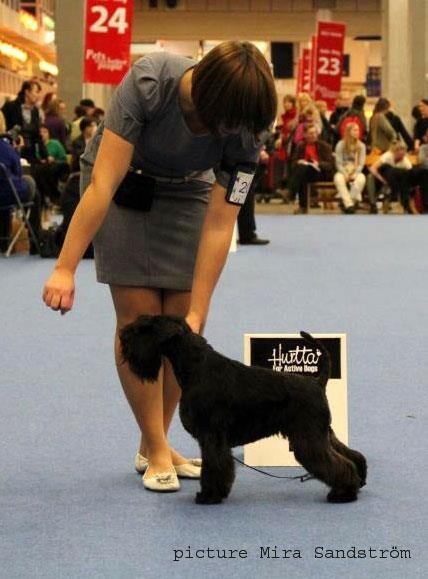 Over the weekend, 3 and 4 of December in Helsinki were held two largest Finnish shows - Helsinki Winner 2011 and Finnish Winner 2011. Raven's Tot Fille The Bill (Kosti) and Raven's Tot Feel The Rhythm (Milla) took part in these shows. 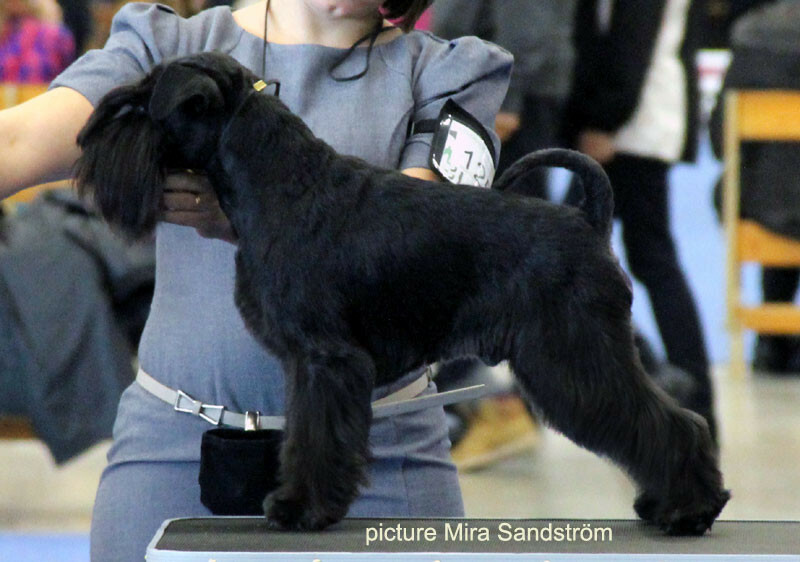 On Saturday black miniature schnauzers were judged by Sonia Kelveri Philippou from Cyprus. 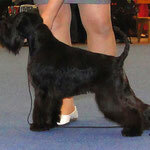 Brother and sister showed the same result - were fourth in the Champion class with EXC. 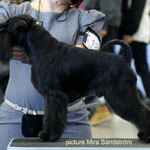 On Sunday, Black Miniature Schnauzers were judged by Juha Putkonen from Finland. 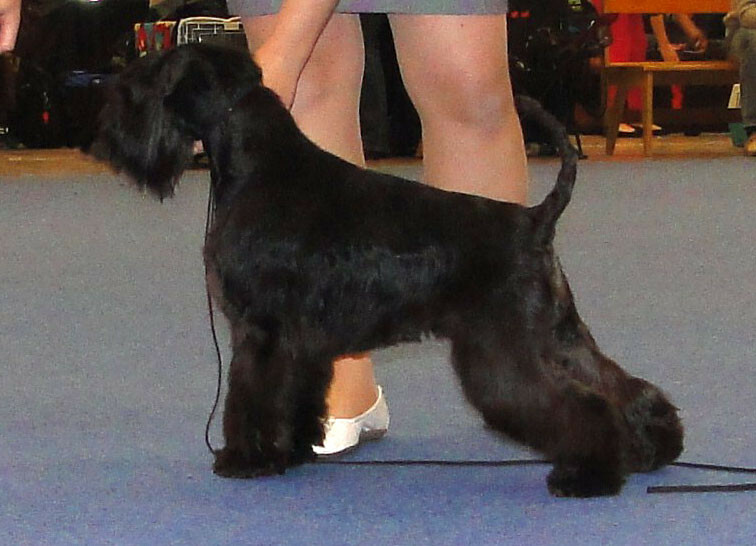 Kosti was second in champion class, and then became the 4th best male.